When Tiesto played New World Sound’s debut electro anthem ‘Peak’ on Club Life episodes 269 and 270, it should have been marked down as the global introduction of Australia’s next big dance music act. The premier gave an insight into a standard that 21 and 19-year-old brothers Tyrone and Jesse Taylor have upheld with all future releases: the respect, support and backing of industry A-listers. Buoyed by Peak’s success the duo returned to the studio and emerged in October 2012 with ‘Bantam’. In its dubstep-influenced, progressive house glory, the destructive club banger gained praise from Grammy Award winner David Guetta. Such was his high regard for ‘Bantam’, Guetta put it on his monthly Top 10 Beatport chart and played it twice on his F**k Me I’m Famous podcast. A shoutout to their hip-hop musical influences called ‘Cube’ came next alongside American Ryan Kristo. Like ‘Bantam’, Marco V promptly signed the bassline weapon to In Charge Records. Dutch icon Fedde Le Grand helped propel ‘Cube’ into Beatport’s Progressive House Top 100, giving it a whopping five spins on his Dark Light Sessions podcast and dropping it to thousands at some of the biggest festivals in the world including EDC Las Vegas, Tomorrowland , Sensation and Tomorrowworld. Around the same time, New World Sound’s fairytale-like rise to prominence reached new heights when a demo sent to an abandoned email was randomly checked. Fortune favours the brave and their charmed run led to a deal on one of the biggest labels in dance music today. Who was the recipient, you ask? Ash Pournouri, manager of Sweden’s Avicii and his imprint LE7ELS Records. Their label unveiling arrived in June when ‘Aye’, a record first heard on Avicii’s famous podcast, was officially released. Rising as high as the Top 20 on Beatport’s overall chart, ‘Aye’ earned New World Sound their first ever BBC Radio One play during Pete Tong’s weekly Essential Selection show and was also included on Avicii’s Ultimate Festival Chart on Beatport. 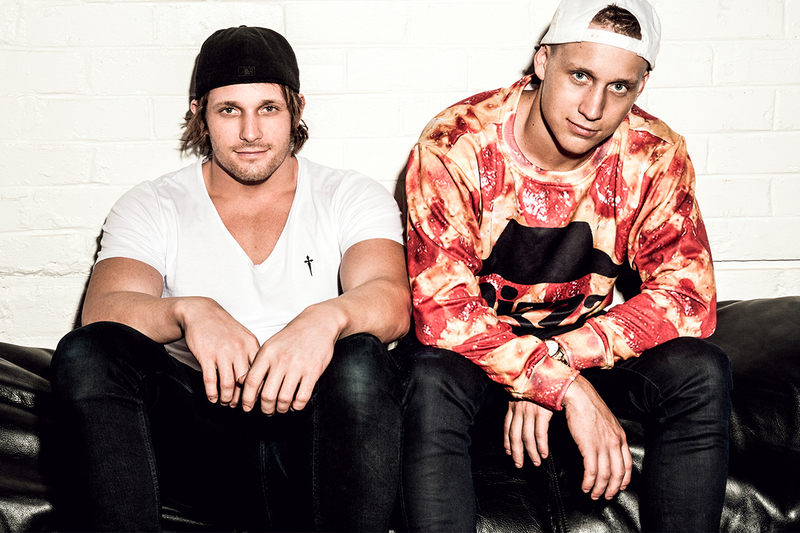 To prove their unique blend of innovation and high energy extends to remixes, United Kingdom’s CR2 Records and America’s Big Beat enlisted New World Sound’s services. Their take of MYNC’s vocal hit ‘Searching’ became a must-play in the set of many DJ’s and radio jockeys alike whilst their remix of Walden’s ‘First Day’ is sure to wreak havoc on dancefloors upon its imminent release. Now speeding through 2014 at an alarming rate, New World Sound have catapulted themselves into the limelight. With their infectious hit single ‘Flute’ a massive success, reaching over 21 Million views on Youtube and a top 4 position on the overall Beatport Chart. It will get it’s major label release later this year on 3Beat in July. Also celebrating their triumphant return to Avicii’s LE7ELS, with ‘Colours,’ and their brand new Beatport #1 ‘The Buzz’ out now on Doorn, New World Sound look set to cement their position as Australia’s biggest new dance act.